Just wanted to share a Silhouette Studio freebie (and PDF version) I designed. I apologize for the craptacular photos, it's late, I wanted to get this posted for you and I have a busy weekend ahead so this is the only time I have. First, a little about how this design came about. I was looking for a way to organize my Project Life kits (because I like to organize more than actually craft it seems). The 3x4 magazine files I'd been using just weren't cutting it, because I couldn't keep the entire core kits together. (Among other reasons). I wanted a clear, stackable solution that kept the core kits together but also allowed me to flip through them inside their container. I'm picky, I know. I asked for recommendations and Stephanie Chavers from Bee Tree Studios suggested these Sterilite boxes. These are great because a) they're less than $1 each on Amazon right now, and b) they fit an entire core kit. And they're stackable. What wasn't so great for me was the idea of the cards flopping around inside. I have partial kits, so they don't fill an entire container and I didn't want the cards all jumbled together. So I came up with a design for some boxes that fit together, with a divider for the 3x4 cards. I cut them on my Silhouette, so I thought I'd share the file in case any of you wanted to use them. I have a Silhouette, so I need to use 3 sheets of card stock. 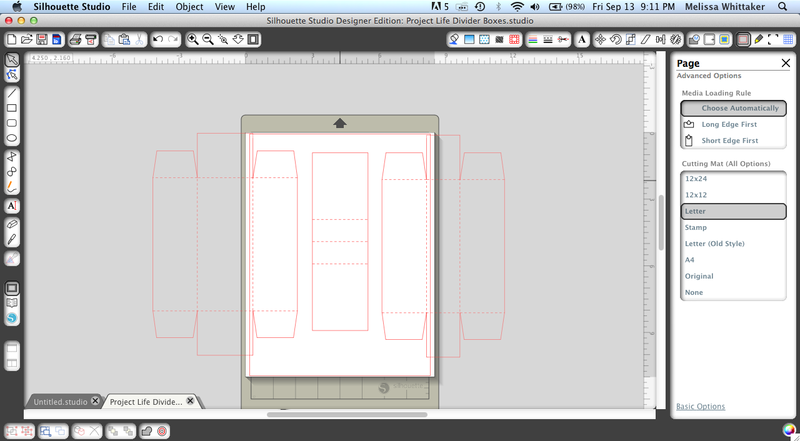 Just cut one of the objects at a time (you can copy and paste the object into a new sheet). And if you're doing a bunch of boxes, you can fit 3 of the middle dividers onto one 8.5x11 sheet (or 4 onto a 12x12) to save some card stock. So to put them together, for the two boxes, just add some adhesive to the inside of the flaps, and then fold up into the box form. (It's really straight forward, if you cut these out and fold on the perforations you'll figure it out). For the divider, you add adhesive to both of those inside perforated areas, then fold them together. It'll form a flat 6 inch long section, with a popped up "divider" in the middle. Then add adhesive to the bottom side of this divider and you can stick it inside the larger of the boxes. You don't have to, but I also added some adhesive to the outside of one side of the larger box so that I could stick the smaller box to it, so they didn't move around. And here are a few other (bad) photos. Enjoy! I hope someone else can use these too! This is AWESOME!! Thanks so much for the cut files......you're the BEST!! Love it! Thanks so much. I bought a few of Jamie's files and have one cut out ready to assemble. These are genius! Thanks so much for sharing. I keep trying to figure out the perfect way to store my project life kits. This may be the answer. I've tried a few of the files in the Silhouette store but being able to flip through the cards is a must for me. Can't wait for my container's to arrive! Thanks for sharing the file. Curious...how do you think you will store the Just Add Color kit with the smaller 2x2 cards? Haven't figured that one out yet but probably a different container or I may leave that one in its box. Completely not sure. I worry the little cards will get lost in the larger box. 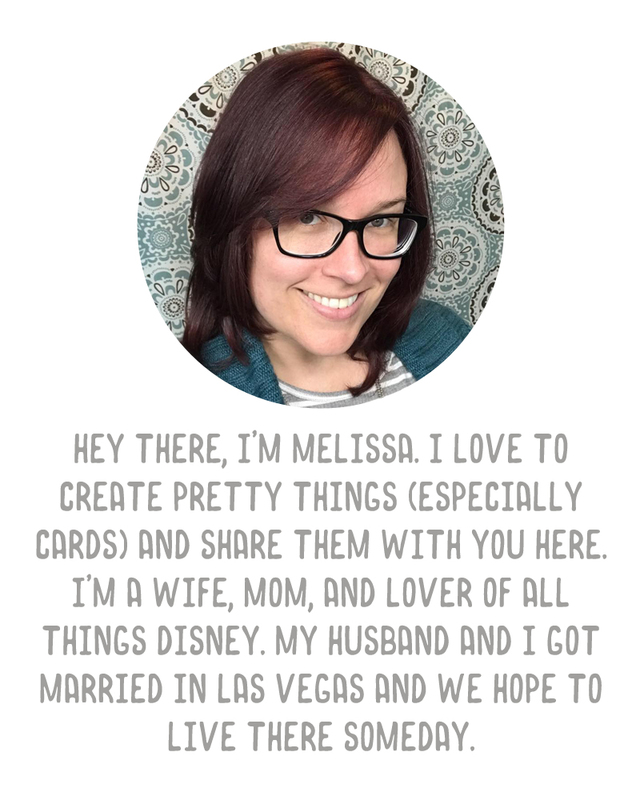 Such an incredible idea, Melissa. Thank you so much for sharing your template & cut file. You are simply amazing!